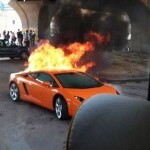 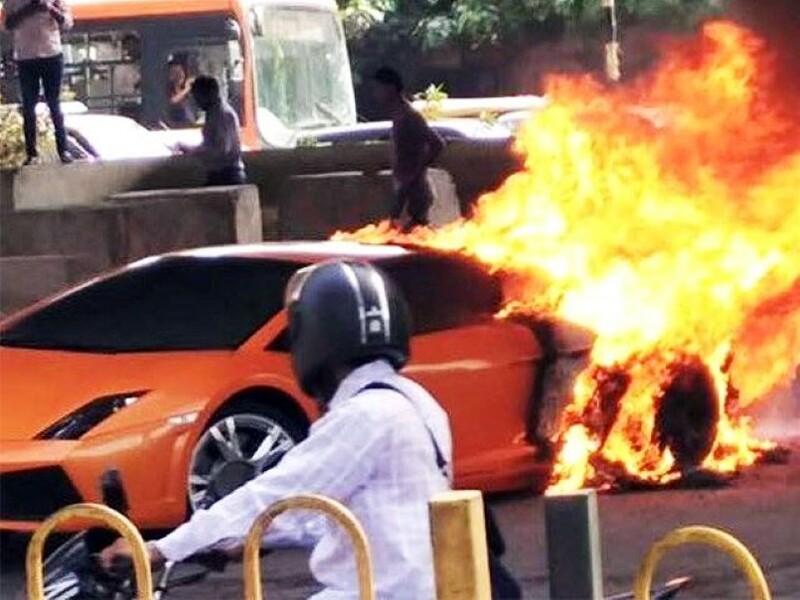 So if there’s something in the world that could potentially make a bright orange Lamborghini any hotter than it already is, it’s this: a hugr, blazing hot fire. 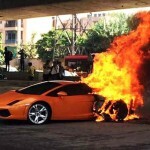 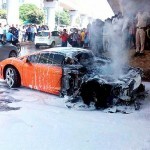 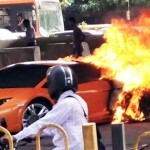 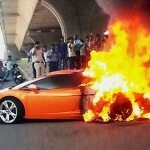 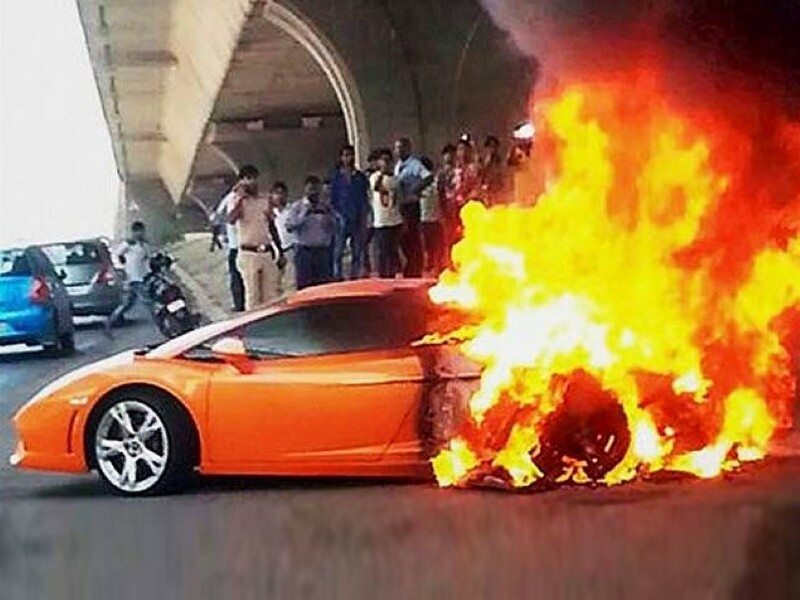 Immediately after exiting a service center in a South Delhi, India, this beautiful Lamborghini Gallardo burst into fire on the road. 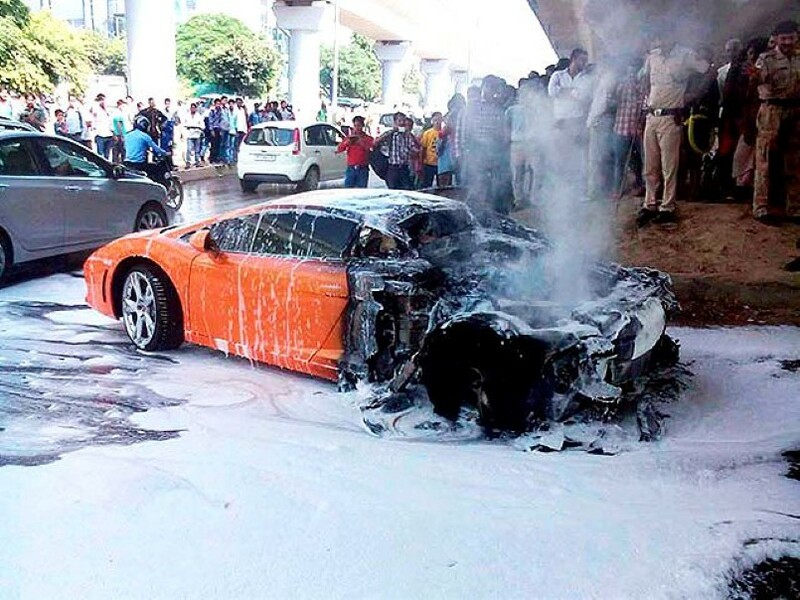 Although it has yet to be determined what sparked the supercar blaze, reports speculate that a leak in the oil tank of the car initiated the fire. 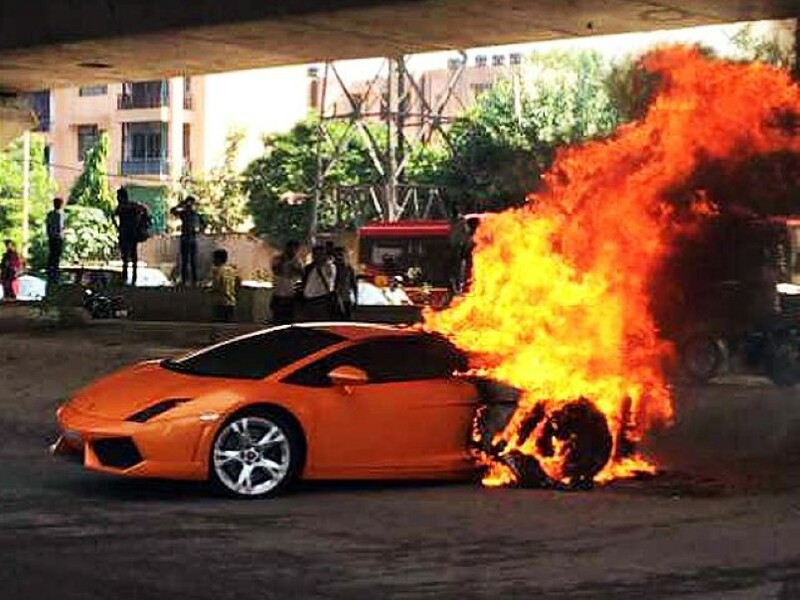 Unfortunately the entire back end of the supercar, which houses the 5.2-liter V10 engine, looks to be burned well beyond any fix. 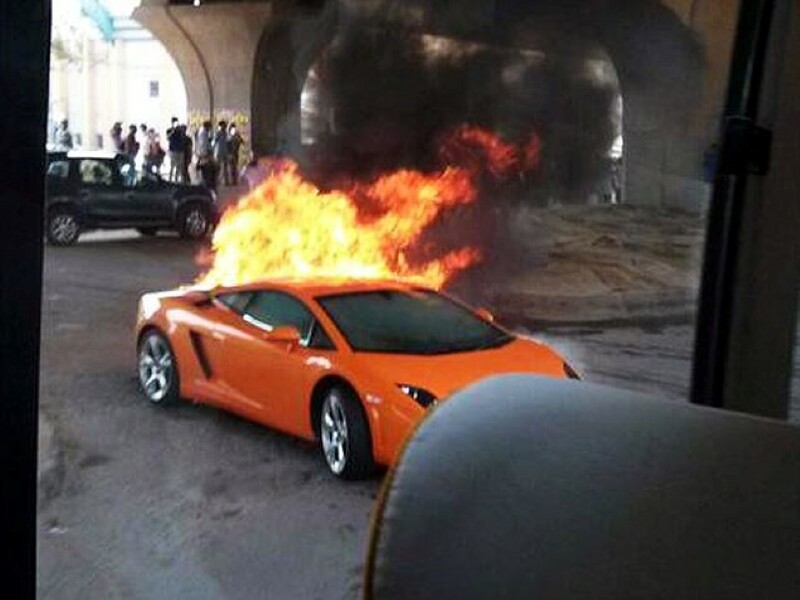 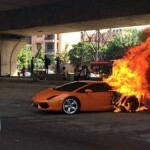 Basically this Lamborghini is a complete write off. 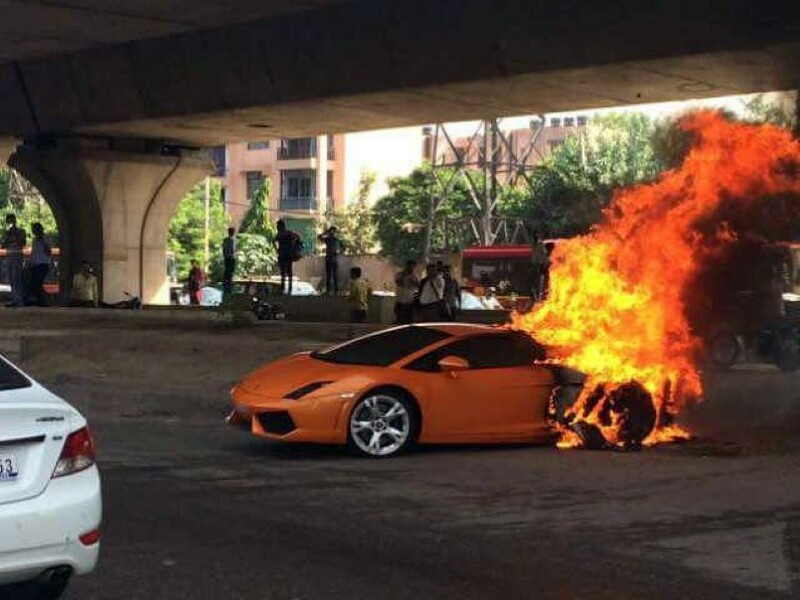 Thankfully however, the occupants of the Italian supercar managed to escape from the burning mess without sustaining any injuries.